When the national park system was first established in 1916, the goal "to conserve unimpaired" seemed straightforward. But Robert Keiter argues that parks have always served a variety of competing purposes, from wildlife protection and scientific discovery to tourism and commercial development. In this trenchant analysis, he explains how parks must be managed more effectively to meet increasing demands in the face of climate, environmental, and demographic changes. Taking a topical approach, Keiter traces the history of the national park idea from its inception to its uncertain future. Thematic chapters explore our changing conceptions of the parks as wilderness sanctuaries, playgrounds, educational facilities, and more. He also examines key controversies that have shaped the parks and our perception of them. Ultimately, Keiter demonstrates that parks cannot be treated as special islands, but must be managed as the critical cores of larger ecosystems. Only when the National Park Service works with surrounding areas can the parks meet critical habitat, large-scale connectivity, clean air and water needs, and also provide sanctuaries where people can experience nature. Today's mandate must remain to conserve unimpaired—but Keiter shows how the national park idea can and must go much farther. Professionals, students, and scholars with an interest in environmental history, national parks, and federal land management, as well as scientists and managers working on adaptation to climate change should find the book useful and inspiring. "Keiter examines these ideas in a well-researched, academic treatment of the national park system." "an unvarnished view of 'America's best idea'"
"...tightly-written...The range of topics that Keiter covers is amazing...I highly recommend this book..."
"Keiter persuasively argues that 'the national park idea is actually not a single idea, but rather an amalgam of ideas that have evolved over time...'"
"A useful and thought-provoking read." "Touching on heritage, new strategies for conservation being developed and much more, To Conserve Unimpaired is a strong addition [to] any environmental studies and law collection, enthusiastically recommended." "This work is valuable in providing an understanding of national park and conservation history and in informing future debates about the values, roles, and expectations of America's national park system." "If you care about the future of national parks, Keiter's lecture and book will make you appreciate the miracles that are Yellowstone and Grand Teton." "...To Conserve Unimpaired offers a series of overlapping studies of what we today may regard as the central issues of our own participation in the park system's evolution." "This book is the best and most comprehensive coverage of the tension between protecting national park resources and accommodating mass tourism. Keiter also performs an essential service in bringing the park literature up to date, with chapters on Native Americans, ecosystem restoration, and the challenge of climate change." "To Conserve Unimpaired is a comprehensive overview of national park system laws and policies written by an outstanding academic. What gives the book its realistic grounding is the insight provided by the author's nonprofit park experience that fully informs and illuminates the realities of contemporary park management." 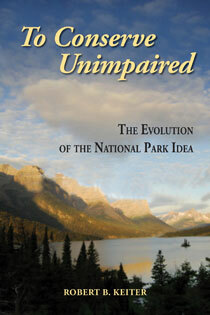 "Keiter offers a clear understanding of the origin of national parks and controversies that continue through today. How should parks balance wilderness values, enjoyment of visitors, science, and education? Making the case that parks are a central tenet of conservation, To Conserve Unimpaired offers key insights into today's challenges to sustain the value of national parks into the future." Chapter 1. What Is a National Park? In honor of the first presidential debate tonight beteween Hillary Clinton and Donald Trump, we asked Island Press authors: "If you were advisor to the president, what would your top priority be and why?" Check out their answers, in their own words, below. I'd urge the President to act on every possible opportunity to reduce the influence of money in the political process, because until that happens it will be increasingly difficult to make progress on anything else. Maintaining and extending the collaborative relationship with the Republic of Mexico over the shared waters of the Colorado River should be a sustained priority. The 2012 agreement known as "Minute 319", signed in 2012, included important water sharing provisions and for the first time allowed water to be returned to the desiccated Colorado River for the environment and the communities of Mexico. The deal was an important milestone, but it was only a temporary agreement. We need permanent solutions to the overuse of the Colorado River, and sustaining our partnership with Mexico is a critical piece. 1) Ending farm subsidies and other protection/promotion of food crops. 3) Ending federal support for state unpasteurized (raw) milk bans. 4) Reining in the FDA. 5) Ending the federal ban on sales of locally slaughtered meat. 6) Ending federal policies that promote food waste. 7) Improving food safety and choice by requiring good outcomes, rather than mandating specific processes. 8) Ending the federal ban on distilling spirits at home. 9) Deregulating the cultivation of hemp. For more elaboration on these bullets, see Linnekin’s full article on Reason. My advice to a presidential candidate would be to recall the words of Neil DeGrasse Tyson, “The good thing about science is that its true whether or not you believe in it.” Natural forces are at work that will have adverse consequences, many of which are diametrically opposed to our national interests. 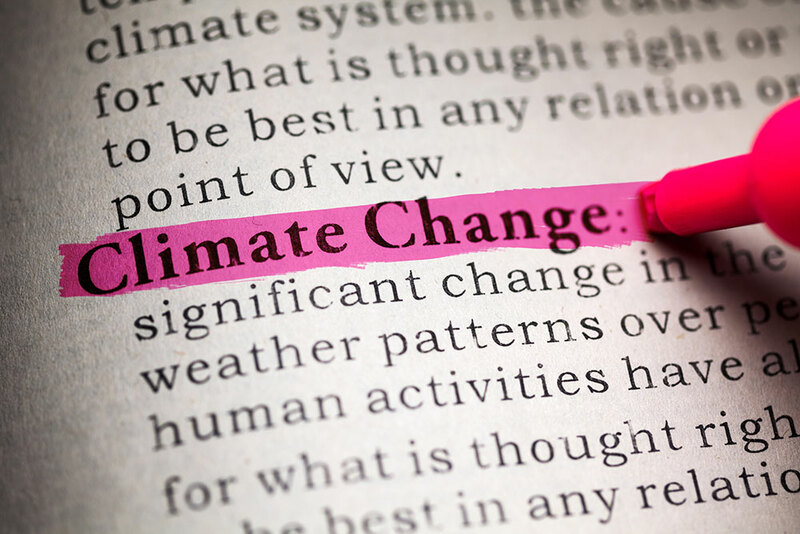 Global climate change, the spread of vector borne diseases, and the rampant overuse of nonrenewable and renewable resources are just three such forces currently in play. The decisions that you make during your tenure will be pivotal relative to the health and well-being of our citizens, as well as the citizens of the world. Recognize the fact that you are governing, just as Lincoln did, during a period of history that will resonate for centuries to come. Make wise environmental decisions even if they are not necessarily politically advantageous. Our futures depend upon it. If I had a chance to sit face-to-face with the winning candidate, my advice would be something like: Think about the welfare of our grandchildren when you make decisions on energy and environmental issues. Consider not just the short-term impacts but the long-term consequences of sea-level rise, extreme weather events, droughts, and loss of agricultural land. Set an example for reducing carbon emissions based on energy efficiency and renewable energy that can serve as a model for developing countries. Listen to our climate scientists and heed their warnings. Trust their advice on global warming in the same way you trust the advice of your physician with regard to your personal health. I would urge the President to reassert cross-departmental efforts such as the Partnership for Sustainable Communities to further empower local governments and constituents to meet ongoing challenges of urban development, because those challenges of land use, transportation, affordability will not be entirely met by private market solutions. I would also advise that the new administration investigate further centralizing resources relevant to urban areas, and evaluate (as was once proposed by Richard Florida) a new cabinet-level position focused on cities and rapidly urbanizing areas. 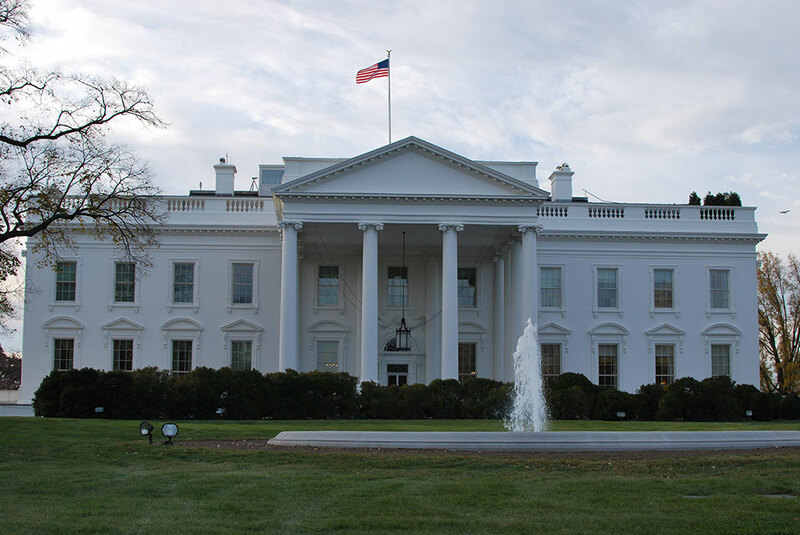 Finally, I would suggest to the President that the federal government should lead by example by illustrating methods to elevate civic dialogue, including program development and funding to encourage individuals to obtain firsthand knowledge of the cities around them through careful observation and input into urban political and regulatory processes. Challenging as this will be even to try, much less accomplish, the next President should work to return a spirit of compromise and cooperation to the American political conversation. On the current course, no real progress toward environmental or social sustainability is possible. The impacts of climate change and demographic pressure are now becoming obvious to people of all political persuasions. Growing awareness may eventually offer room for fresh policy ideas: a carbon tax with proceeds turned into dividends and a universal basic income for all citizens, access for all to comprehensive sexuality education and reproductive health services, and humane and sustainable migration law. As much as climate change will affect the United States, we likely have the capacity to adapt more effectively than most other countries—at least in terms of human welfare. At the same time, US demand for foreign goods and services is not going away; I, for one, don’t care what you say about the damn environment—I’m having my morning cup of tea or coffee come hell or high water (the latter an increasingly distinct possibility). If my personal recalcitrance is at all reflective of our national attitude, we nonetheless ought to be striving for a broadly-defined international stance that fully and coherently accounts for climate change. Specifically, in a world where the actions of our friends and our enemies will be increasingly defined by surging resource constraints (as well as “releases”—think Arctic oil…), our next President should focus on integrating foreign aid, fair trade, free trade, and military/security policy in a way that anticipates the incoming tsunami of threats—and opportunities—posed by climate chaos. You could have knocked me over with a feather when I read Glenn Beck’s recent commentary in the New York Times. “The only way for our society to work is for each of us to respect the views of others, and even try to understand and empathize with one another,” he wrote. He took the words right out of my mouth. And so, Glenn and I urge the next President to do exactly that, reach across the aisle, connect with the great diversity of people and views in this country, and with respect and empathy seek to understand. Given the evident impact of rampant development pressures and climate change on our nation’s wildlife populations and diverse ecosystems, I urge the next President to endorse and promote a strong federal leadership role in collaborative landscape-scale planning efforts among federal, state, tribal, and private landowners in order to ensure our natural heritage is conserved for present and future generations. The U.S. must be consumed with the urgent goal of retooling the energy infrastructure of our country and the world. Cooperatively mobilizing with other nations, our government—we, the people—must immediately, using all just and complementary means at our disposal—e.g., directives, incentives, and disincentives—close down fossil fuel operations and facilitate replacing coal, oil, and gas dependencies with cradle-to-cradle manufacture and ecologically and socially sensitive installation of ready, climate-responsible technologies, including locally scaled wind turbines, geothermal plants, and solar panels. No less urgently, as a globally-responsible facilitator, the U.S.—members of all administrative branches together with the citizenry who have chosen them—must, with forthright honesty and transparency, support a matured narrative of progress that is alluring across political spectrums. This story must redefine power to integrate economic prosperity with other commonly held values—such as equality, justice, democratic liberty, and skillful love for land that interpenetrates with human health and flourishing. It must recall people to ourselves and each other not as mere individual consumers, but as diverse, empowered, capably caring members—across generations—of families, neighborhoods, and of the whole ecosphere of interdependencies—bedrock to sunlight—the source of Earth’s life.